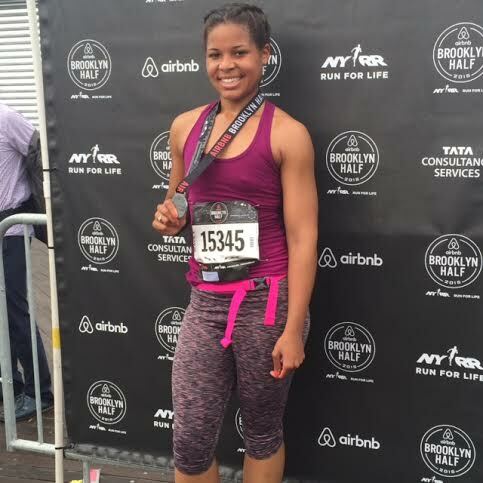 This past weekend I ran the AirBnB Brooklyn half marathon. 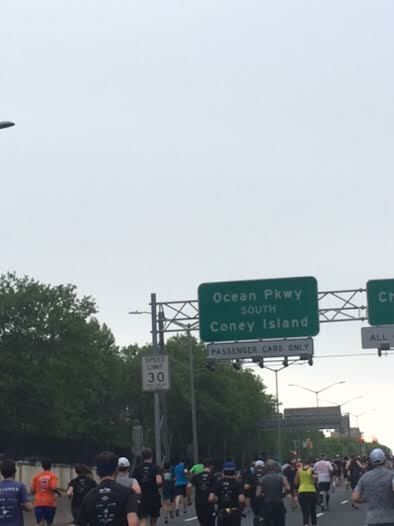 Which was 13.1 miles from Eastern Parkway all the way down to Coney Island. This has to be one of my favorite races to run. The energy during this race is just awesome! There are so many runners and spectators you stay energized the entire race. Even when it started to rain mid-race, I was more concerned about my phone getting wet. 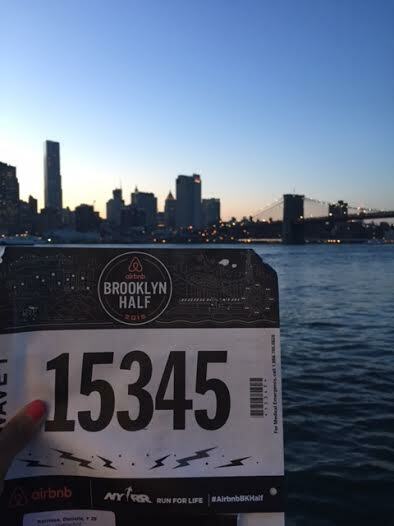 This race is on a Saturday but the festivities start Wednesday at the piers in Brooklyn bridge park. There are bands, activities, games and two of my favorite things, FOOD and CRAFT BEER! I headed out to the pre-race party with my friend and fellow runner Pam or as I like to call her PAM JAM! She is an amazing runner who has done countless races and 50 milers! She’s such an inspiration! And running BEAST, so she was the perfect person to go to this party with so we could pick up our race numbers. After all of the fun at the party I had to get ready to race two days later. I didn’t prepare for this race the way I would of liked to, so I had set in my mind that I wasn’t going to try and PR this race (2 years ago, this race is where I set my PR of 1:56). It was very hard for me to not want to crush or match my time! But I knew it would lead me to being super exhausted or even worse injured! So, I put it in my mind that this was going to be a fun run! 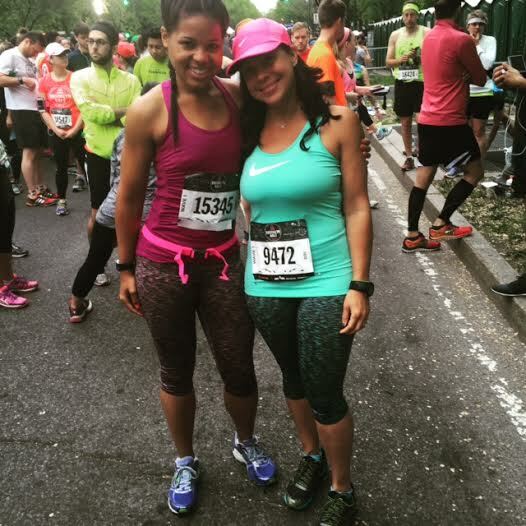 I was going to soak up the good vibes and energy and do it for the love of the RUN! This race starts early!! Like ungodly early! Which means I have to be up even earlier. However, once the sun decided to get up about an hour and a half after I did, it wasn’t so bad. Once I got to the race with my friend Deej who is a 2x marathoner and Spartan Trifecta!! (If you don’t know what a Spartan Trifecta is, look it up! It is the reason her nickname is “Wonder Woman”) We were ready to get it going, so that we could get it over with. But once we started our spirits lifted and we were happy runners! Don’t get me wrong it was still a bit of a struggle. Like, when it started raining and I sped up my pace a bit, that’s when I really just wanted it to be over! But, I decided that the rain was part of this race story, so I slowed my pace down a bit and just let the rain fall. Eventually it stopped and AFTER the race the sun came out!! Too little, too late sun! However, crossing that finish line on the boardwalk is an amazing feeling. It meant that I had one more half marathon under my belt and I was close to getting my beer at the after party with all the other runners. The camaraderie during this race is amazing the only other place I’ve felt the same energy is at the Tough Mudder race. Enjoying celebratory beers with all the other runners and the throwback ’90’s cover band is the icing on the cake of this amazing race.